Destruction of habitat due to urban sprawl, pollution, and deforestation has caused population declines or even extinction of many of the world's approximately 2,600 snake species. Furthermore, misconceptions about snakes have made them among the most persecuted of all animals, despite the fact that less than a quarter of all species are venomous and most species are beneficial because they control rodent pests. It has become increasingly urgent, therefore, to develop viable conservation strategies for snakes and to investigate their importance as monitors of ecosystem health and indicators of habitat sustainability. 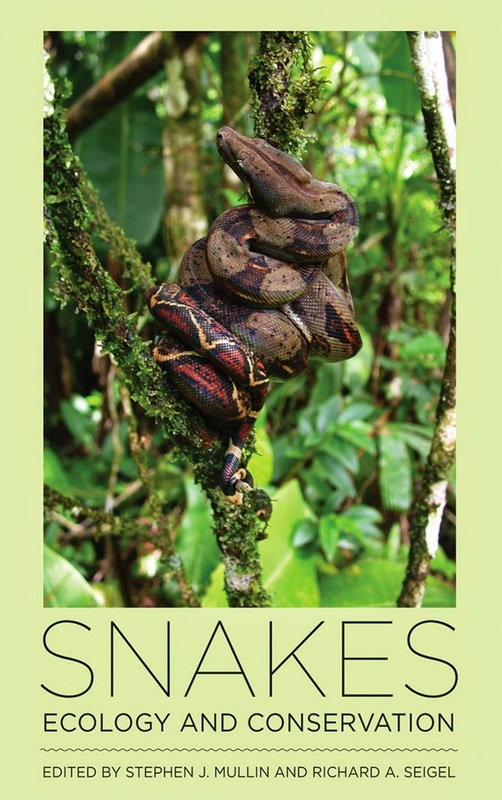 In the first book on snakes written with a focus on conservation, editors Stephen J. Mullin and Richard A. Seigel bring together leading herpetologists to review and synthesize the ecology, conservation, and management of snakes worldwide. These experts report on advances in current research and summarize the primary literature, presenting the most important concepts and techniques in snake ecology and conservation. The common thread of conservation unites the twelve chapters, each of which addresses a major subdiscipline within snake ecology. Applied topics such as methods and modeling and strategies such as captive rearing and translocation are also covered. Each chapter provides an essential framework and indicates specific directions for future research, making this a critical reference for anyone interested in vertebrate conservation generally or for anyone implementing conservation and management policies concerning snake populations.